Navigating legal issues requires the clarity that comes from professional guidance. When ending a marriage, purchasing real estate or facing other legal concerns, the help of an attorney can make a significant difference in the outcome of your case – and, consequently, your life. Lawyer Christina R. Jenkins will work closely with you to develop a strategy to protect your interests while also respecting your financial resources. 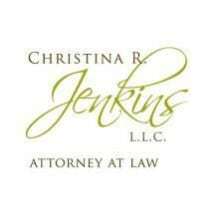 As the founder of Christina R. Jenkins, LLC, a Cartersville law firm, Ms. Jenkins provides friendly and approachable service centered on your needs. You can expect to meet directly with her throughout your case. Attorney Jenkins will take the time to get to know you, provide you with the information you need, answer all your questions and educate you about the legal process. Equipped with this knowledge, you can feel confident making informed decisions on how to proceed. Ms. Jenkins handles a broad range of legal issues, including family law matters and real estate transactions. She takes a collaborative approach to resolving disputes whenever possible. This approach often makes it possible to reach a fair and reasonable resolution as swiftly and efficiently as possible – all the while minimizing the costs and stress involved in lengthy legal battles. In real estate matters, Ms. Jenkins applies a thorough attention to detail in identifying potential pitfalls and proposing solutions. To discuss your legal needs with attorney Jenkins, please call 470-315-1676. The firm represents clients throughout northwestern Georgia.